I was fortunate to be asked to contribute to the 2013 GT and Endurance Review book put together by l’endurance and Dailysportscar.com and powered by Nissan. I contributed in a very small way with some illustrations for the Blancpain Endurance Series and World Endurance Championship. The e-book is simply epic and I advise any racing fan to download it for free now. This is a great example on how a team or sponsor can use the Spotter Guide artwork to help their VIP’s and guesta at the circuit, in addition to building brand awareness. 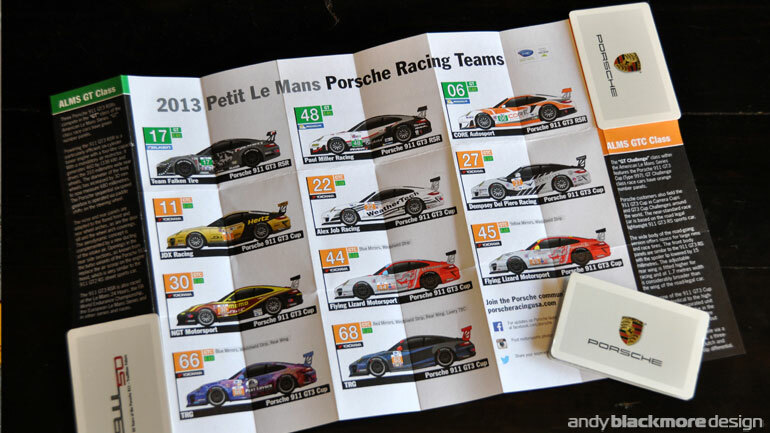 Porsche North American agency, Momentum Worldwide, contacted me last month to create a special ‘z-card’ Porsche Spotter Guide layout for their VIP’s at Petit Le Mans. Porsche has a huge presence at the blue riband events such as Petit Le Mans and have their own building constructed on top of the hill, above the pits. 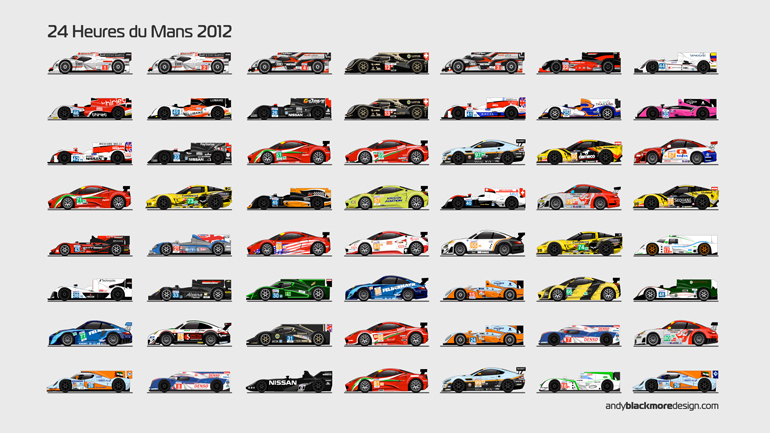 I was recently commissioned to produce a 15th Anniversary graphic showcasing all the American Le Mans Champions by Delta Wing Racing Cars. 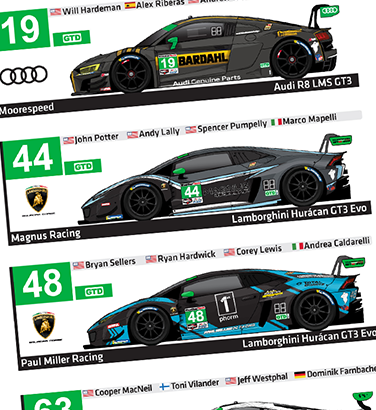 The graphic was in the style of my ‘Spotter Guide’ series and included Audi, HPD, Lola and Panoz Championship winning cars. I was approached by legendary team boss, David Price, who I had created liveries for in the 1990’s for various McLaren F1 GTR and the first Panoz GTR-1. I had to draw some of the early chassis up from scratch including the Panoz LMP-1. Luckily Photographer, John Brooks came to the rescue with some great reference shots. 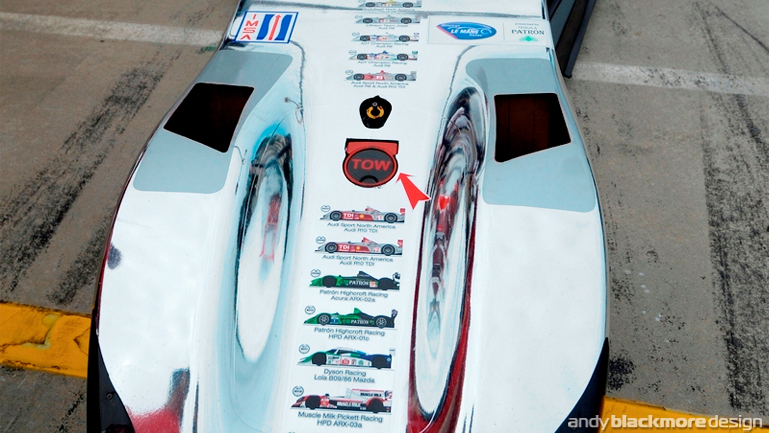 DeltaWing Racing Cars Manager Partner Dr. Don Panoz founded the ALMS in 1998 and built it into one of the premier sports car racing series in the world. The series came to an end this past weekend and will merge with GRAND-AM to form the Tudor United SportsCar Championship in 2014. I worked up a spoof Muscle Milk Delta Wing livery for DailySportsCar.com while I was at PetitLe Mans (luckily having a plain white DW on my laptop). This followed continued rumours about Muscle Milk Pickett Racing for 2014, many of them very wild of the mark. So, despite DSC clearly stating ‘For those of you that have a satire or sarcasm filter, this is NOT TRUE; it is meant to actually lighten what has been a rather intense and sometimes not enjoyable season‘, I’ve seen forum, FB and Twitter posts saying otherwise. Good old Internet. I was commissioned by TAG Heuer Eyewear to create a new helmet design for 2012 ALMS GT Champion, Tommy Milner earlier this year. This cool video, directed by DC Chavez, is a snapshot to the design and paint process by Tyler Cenarrusa of Censport Graphics. The video has proved very popular with Jalopnik, Speedhunters and Motorsport.com all carrying it. It was a great project to work on and start my relationship with TAG Heuer Eyewear which continues in 2014. 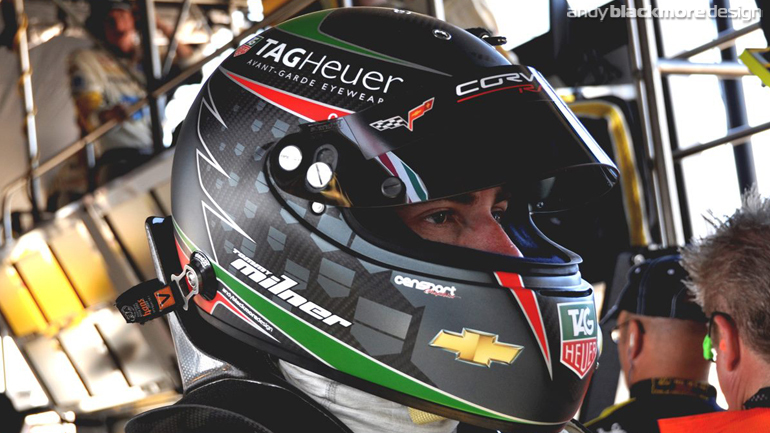 You can see my full Portfolio Post on the Tommy Milner TAG Heuer Eyewear helmet here. The Spotter Guide series is a very successful project with fan Spotter Guides which can be downloaded free of charge from my other site, SpotterGuides.com As a number of people visit my site looking at these guides, this posts gives you a quick summary of the latest guides. Head over to SpotterGuides.com to download the actual guides. 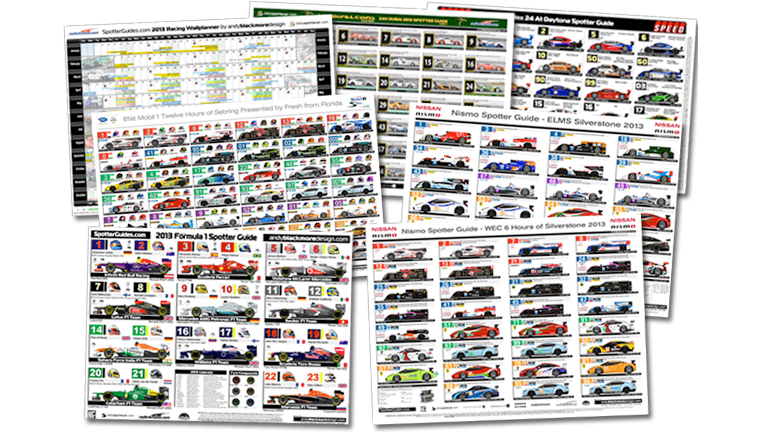 The Spotter Guide series for 2013 is now in full swing! 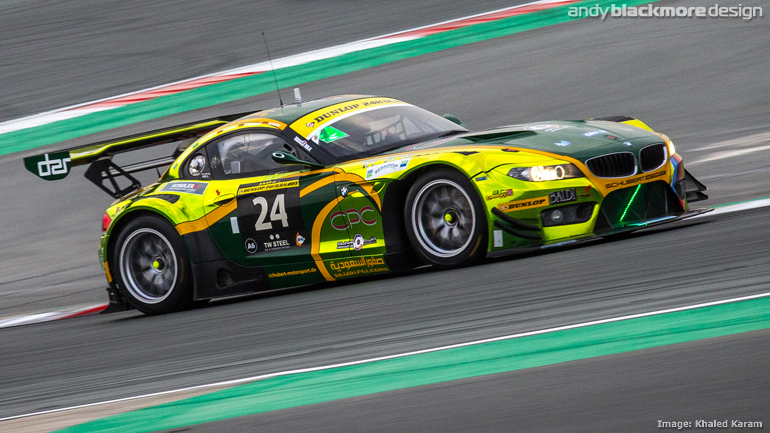 We started the season with the 24 Hours of Dubai, followed by the first of our endurance guides, the Official American Le Mans Series Guide, which is updated prior to each race. Following numerous requests I have produced a selection of desktop wallpapers featuring just the cars from the Spotter Guide series. 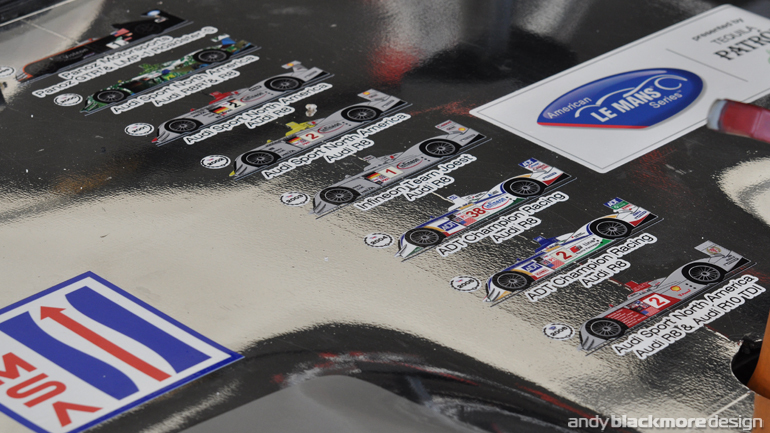 The first two wallpapers feature all the entries in the 2012 Le Mans 24 hours, in their finishing order while a second wallpaper features the Grid at the 2012 Petit Le Mans. 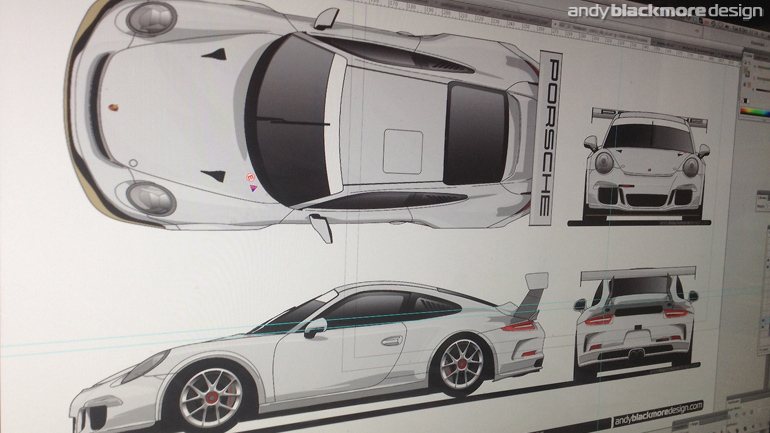 You can download the wallpapers here. 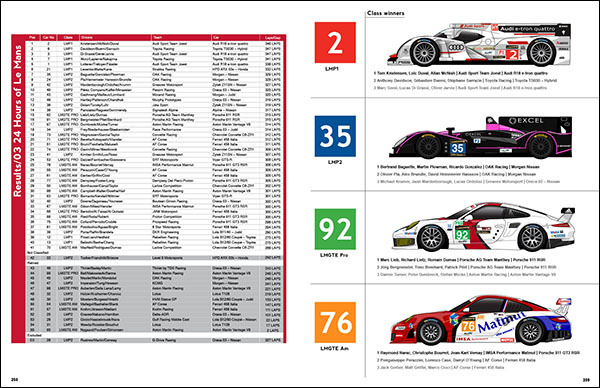 The 24 Hours of Le Mans Spotter Guide, sponsored by Nissan Sportscars(UK) is the latest edition to the 2010 range of Guides and is available as a free download at SpotterGuides.com. The guide joins the very successful American Le Mans Series Official Spotters Guide which is updated prior to each race and the Formula Drift and British Touring Car Guides, which was released earlier this season. The guides are a great marketing tool for race fans, at the circuit or at the race track. Mazda Raceway Laguna Seca, Utah GP, Team Dynamics and Need for Speed have all commissioned special versions of the guide in the past, while premium sponsors including Nissan UK, SPEED TV, The American Le Mans Series and Radio Le mans have partnered on various guides. The ALMS guides also appears on the official site (Race hub section) and is available as a poster and on T-shirts at ALMS races. 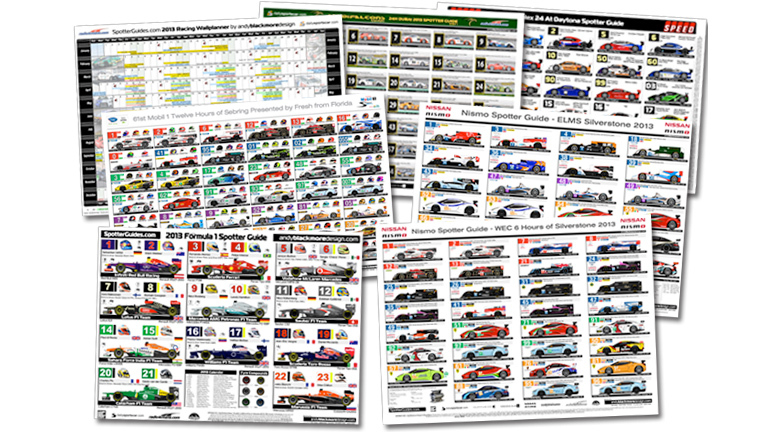 You can view all the Spotter Guides HERE.